​The inaugural meeting of Enterprise was held at Lantern Hall, Sydenham Road on 25th September 1959. Mr. James McMillan explained a method he and his colleagues had devised of teaching people with a disability to swim and which he called the “Halliwick Method”. Renamed the Halliwick Concept, it is promoted by the Halliwick Association of Swimming Therapy (Halliwick A.S.T.) of which Enterprise is a member. Croydon Council has generously supported us with the provision of a pool since our inauguration. 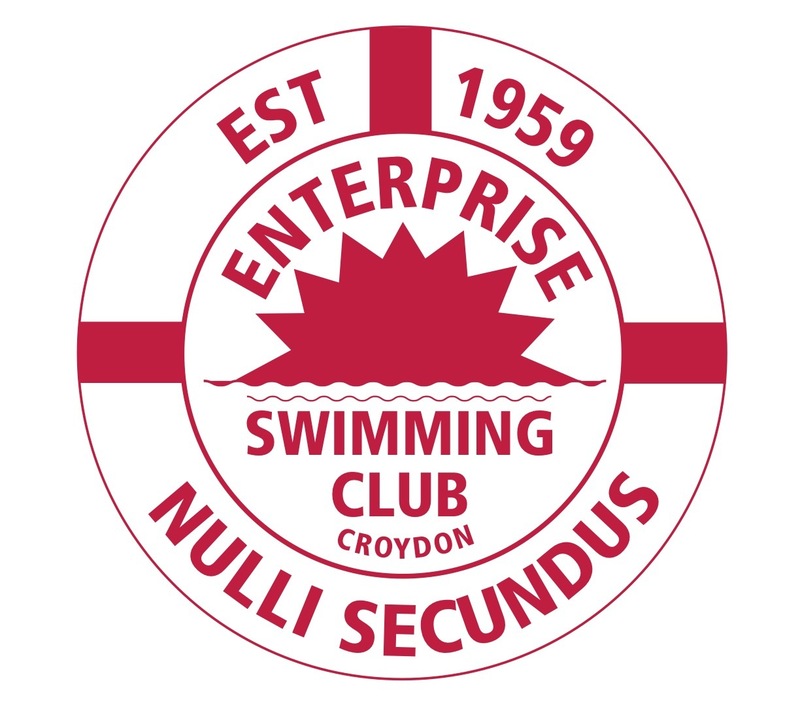 The Club was originally given the use of Scarbrook Road Baths in Croydon, but when they closed the Club moved first to the baths in Thornton Heath, and subsequently to Purley Pool when the council granted a Friday night session in 1982, the ongoing support we are always grateful for. We also have the use of a small room for after-swim drinks and biscuits. 1961 saw Enterprise starting a tradition which has endured to this day, when the first Summer Outing of the Club was to Hove. The annual summer seaside visit has become a popular and regular outing for Club members and we have swum at Littlehampton, Margate, Southend, Hastings, Portsmouth and other coastal resorts. In 1970 Enterprise was represented by Bill Adamson who was selected to be one of six disabled swimmers in a relay team attempting to swim the Channel. Departing from Cap Griz-Nez on August 26th each team member swam for one hour at a time, eventually reaching land opposite The Metropole Hotel, Sandgate 14hrs 1 min later. This was the fastest time recorded that year for the team swim and they received a handsome trophy for their efforts. The training was arduous and intensive and showed the commitment of swimmers and helpers alike. The 50th Anniversary of the Club was celebrated in 2009 at Fairfield Halls, Croydon and welcomed many “older members” (not old in years, but in memories!). The Mayor of Croydon and Dr. Joan Martin OBE, President of Halliwick AST, were the guests of honour. ​As a charity, the Club relies on the generosity of Members and friends for the vast majority of its income. The five main income streams can be described as Subscriptions, Donations, Fund Raising, Legacies, and Investment Income. These are enlarged upon below. SUBSCRIPTIONS: An annual subscription is paid by every member - this is kept at a nominal level to ensure it is not a barrier to joining the Club. DONATIONS: These can come from Club Members (Internal), or non-Members (External). Internal General - any donation not included in the following; In Lieu of Christmas Cards New Year's Party donations In Memory of deceased Club Members External The Club has been very fortunate to have had the support of several local associations over the years, and thanks the following for their generosity. Coulsdon & Purley Round Table Purley United Reformed Church and St. Mary's Church, Sanderstead Sanderstead Lawn Tennis Club Also, donations have been received in Memory of deceased Family Members. FUND RAISING: Various fund raising activities occur during the year, some regular and others infrequently. They include the following: Internal Small change collection for New Year's Party, Tombola - Held at the New Year's Party, Raffles - held occasionally at the weekly swim, New Year's Party and Christmas Dinner. LEGACIES: bequeathed to the Club by Will or Deed. INVESTMENTS: Legacies and surplus funds are invested in National Savings and Fixed-Term secure investments. The income derived, however, varies with the fluctuations in interest rates. PRINCIPAL EXPENSES: are Affiliation fees to Halliwick Association of Swimming Therapy and ASTRA2 - our National and Regional bodies; Insurance; Instructor Training and day to day running expenses. We have also always sought to provide a free New Years Party for Members and their families and a free Summer Outing for Members to enjoy a "Dip in the Sea". ​​Enterprise takes part in the swimming galas that The Halliwick AST organise annually for disabled swimmers to compete against other swimmers. In order to enable swimmers to compete on an equal basis a system of Timed Handicapping is used where swimmers compete on the basis of their ability in the water, irrespective of their disability on land. Galas are held by the various Regional Associations across Great Britain, with the winners of the Regional Galas going on to represent their region at the National Gala. Competition is very keen and Enterprise Members have won many cups, shields and Gold, Silver and Bronze medals. The Club does not exert any pressure on swimmers to represent their region at the National Gala. We also hold an annual mini-gala within the club at Christmas. The Committee is elected annually at the Annual General Meeting except for the President, which is a lifetime appointment, and the two Senior Instructors who are appointed by the Chief Instructor. President Ian Gill. I have joined the club in 1983 when my wife was an instructor and I went along to watch. Making it known that I would be willing to help I was asked to be deep end supervisor and I have been on the committee ever since, being the chairman for 12 years and transport officer at least three times. I was invited to become president in 2009 when the previous president resigned. Treasurer/ Acting Secretary. Clive Baker. I joined in the 1980's when my daughter wanted to learn to swim. I was asked to "mind the shop" as treasurer in 1995 Until a replacement could be found as the previous treasurer had moved away - they still seem to be looking!! Chairman David Brooks. I joined the club in 1996 with my wife, and came along thinking I could have a little nap whilst she was in the water. Before I knew what was happening I was helping out in the water. In 2009 my arm was twisted again and I became chairman. Chief Instructor Karen Taylor. In 1990 I went to the volunteer bureau in Purley where they suggested going to see if enterprise swimming club could use my help. Everyone was so friendly I joined and helped with swimmers in the water before going on to train as an instructor. At the AGM of October 2011 I was elected to the post of chief instructor.